Invercargill is renowned for its beautiful walking and cycling tracks, and now there is a new one to add to the list. Kelly’s Lap is the brainchild of keen recreational cyclist Paul Hurley. The 16km track is named as a tribute to John Kelly Jr, the first European born in Invercargill, and links Invercargill’s earliest pathways. John Kelly's Jr was also noted as one of the best long distance runners to come out of Southland, and he consistently won the Caledonian Games one mile race. From Kelly’s 1856 birthplace, the circuit follows the length of the Otepuni Gardens walkway, before entering the historic section of Invercargill’s Eastern Cemetery where Kelly was buried in 1928, and then heading through the Ascot Park Hotel grounds, along Racecourse Road, and onto the Waihopai Walkway. While cycling has long been an interest of Paul’s, it was only in the past six months that he got his bike out of the shed, dusted it off, and set out for a ride. Since then he has ridden it every day. 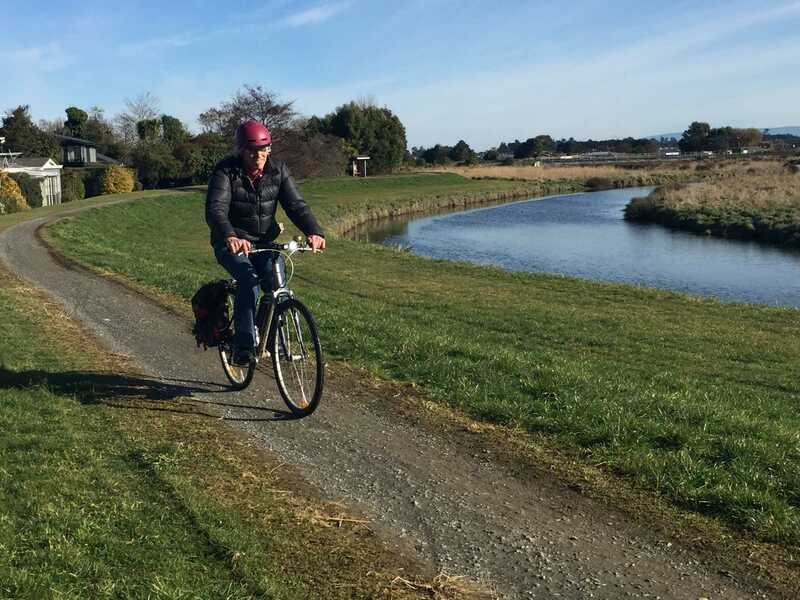 His interest sparked his motivation to find a cycling track that was not only a bit different, but that also captured so many of the elements he loved about Invercargill. Parts of the track are in urban areas, providing views of homes and schools, while others are away from residential areas, instead taking in farmland and greenbelts. The great thing about Kelly’s Lap is its versatility – people could link with the track at any point along its route, choosing to walk or cycle all or as little as they felt able to, Paul says. Paul hopes to launch the circuit at an official event later in the year, but in the meantime is encouraging people to put on their walking shoes or get out their bikes and head out to explore Kelly’s Lap. Maps showing the circuit are available at the iSite at Southland Museum and there is also a Kelly's Lap facebook page.